Want to work from home? We recommend you give paid surveys a try. Surveys are convenient and enjoyable to do. Most who participate say they look forward to the opportunity to do their next survey. It might surprise you to know that there are people who earn $1K or more every month, simply by taking surveys! Free time to take surveys. Computer & mobile phone (optional) to take surveys on. But for each person who succeeds there are quite a few who do not. So let’s talk about what sets that person apart who creates an at home job from surveys. Make a daily effort at survey taking and visiting survey sites. Create a daily and weekly schedule that works for you. Respond professionally to surveys, honestly and quickly with your opinion. Tip #2 Sign up for as many survey sites as possible. Most will debate on which survey sites are “the best” and yes, there are some that are more preferred. But if you are doing surveys as an at home business then you need to guarantee that surveys are coming in to you at all times. Signing up at 50 or even 100 survey sites would not be a surprise. Tip #3 Connect with other survey takers. One thing most professionals do is they network with professionals in their field of expertise. Set the goal that you will get to know at least 5 other people who take surveys. Not all of them may be as dedicated as you are, but chances are that you will learn from them, just as they will learn from you. Tip #4 Just answer honestly on all surveys. This is the best advice we can give you. Survey companies are paying you for something – your opinion. If you change your opinion all the time then your opinion is truly not valuable. You can’t change yourself to fit into surveys you’d like to take. Focus instead on increasing the number of companies you are signed up with, so more opportunities come your way. Your opinion equals cash! Tip #5 Set professional goals. If you are doing surveys as a job then it is important to set targets to reach. Will you answer 10 or 20 surveys in a week? Or more? Your goals should increase and change over time. Surveys have helped many families and individuals stretch their budgets and to enjoy life. In just a few minutes, you can start earning money and there are few things you can try that work like online surveys! 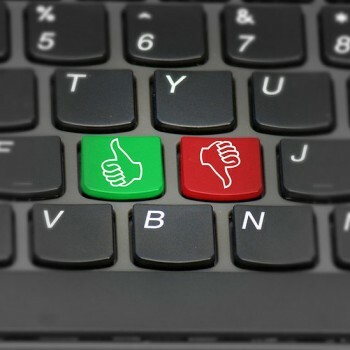 Who Makes Money with Online Surveys?